Glyndwr University’s roots trace back to 1887, though was officially inaugurated in 2008, and now has a major presence in four locations, the biggest of which is where the uni first originated: Wrexham. The largest town in North Wales, Wrexham has close connections to Manchester and Liverpool, is claimed a ‘shoppers’ paradise, and boasts numerous historical links, making it the ideal place to spend three years as a student. The town was named after a Medieval Welsh Prince and, with Thomas Telford’s Pontcysyllte navigable canal boat still the tallest to cross the world, it remains a place of cultural and historical heritage, spanning over 12 km and home to over 60,000 people (with over 9,000 students!). With plans to double student numbers in the future, Wrexham pushes forward as an innovative and attractive place to live and study. 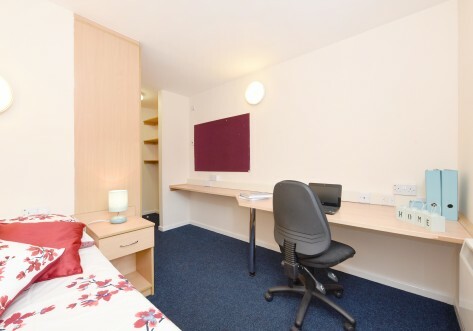 With affordable student residence positioned a 10 minute walk from the university and within easy access to local bars, shopping centres and theatres, your spare time is sure to be filled with all forms of therapy, from retail, to sport, or a couple at ‘the local’. Moving into Wrexham’s purpose-built halls and becoming immersed in the antics the town offers for all ages, you would be following in the footsteps of the university’s alumni including; Brian Percival, director of Downton Abbey, and Owain Brown, North Wales Crusaders rugby player.